What wonderful news that Marine Sgt. Andrew Tahmooressi will be free on U.S. soil—finally!—after being imprisoned in Mexico for the past eight months. It’s been such a bizarre situation and so disappointing as we hear reports that the White House never did fight for our Marine’s freedom. If true, then President Obama once again broke that sacred commitment to never leave an American behind. If I’m wrong on this, I’ll be more than happy to acknowledge the President’s efforts to see an honored vet set free. Prayers and well wishes go out to Sgt. Tahmooressi and all who have been so dedicated to his plight, especially Andrew’s joy-filled mother today. I had the honor of speaking with her a few months ago and have admired her commitment in seeking justice for her son. She’s fought doggedly for Andrew’s release; her efforts paid off. Great volunteer organizations worked so hard for this outcome, and FOX News’ Greta Van Susteren kept this important story of seemingly obvious injustice in the news even when few others reported on it. I hope the press will keep pursuing truth in the matter, in the name of justice for all. The best of everything, Andrew! Find peace and fulfillment in this new chapter of life! Franks said the private plane carrying Marine Sgt. Andrew Tahmooressi, his mother and supporters — including former New Mexico Gov. Bill Richardson — landed at a South Florida airport about 6 a.m. Tahmooressi was freed Friday night and reunited with his mother, Jill, and then boarded the flight to Florida in San Diego. His release comes after a lengthy, closed trial and a Congressional hearing in September highly critical of Obama Administration efforts to secure his release and Mexico’s refusal to let him go. Tahmooressi said he made an innocent mistake the evening he crossed into Tijuana with three weapons in his truck on March 31. While his defense rested its case several weeks ago, Tahmooressi’s release came only after a strong diplomatic push from former Gov. Bill Richardson of New Mexico and Reps. Ed Royce (R-CA) and Matt Salmon (R-AZ). Speaking by phone on his way to board a plane with Tahmooressi, Richardson said the trio, along with talk show host Montel Williams, met with Mexico’s Attorney General and Ambassador to the US, advocating for his liberation. As late as Friday morning, the family spokesman told Fox News the judge was not expected to make a decision for at least another week. While the spokesman expressed optimism, the there was no certainty that the judge would rule in Tahmooressi’s favor and could have found him guilty of firearms possession. His attorney had argued for his release based on humanitarian grounds and on a violation of his civil rights. Upon release, Mexican officials processed him quickly through immigration, Richardson said. “He was happy. He was smiling. He’s looking good. His spirits are high,” Richardson told Fox News, adding that Tahmooressi said he wants a steak dinner and stone crabs. But Richardson said Tahmooressi is seeking privacy and still needs to receive treatment for his Post-Traumatic Stress Disorder, something that wasn’t available in Mexican prison– a key argument put forth by defense attorney Fernando Benitez. WATCH GRETA VAN SUSTEREN”S REPORT HERE. Gov. Palin: Louisiana, Zach Dasher is your man for Congress on Tuesday! Louisiana is fortunate this election season to have bold, fresh, strong conservatives running for office. You hear me tout the warrior Col. Rob Maness for U.S. Senate, and here’s their great U.S. House candidate, Zach Dasher! 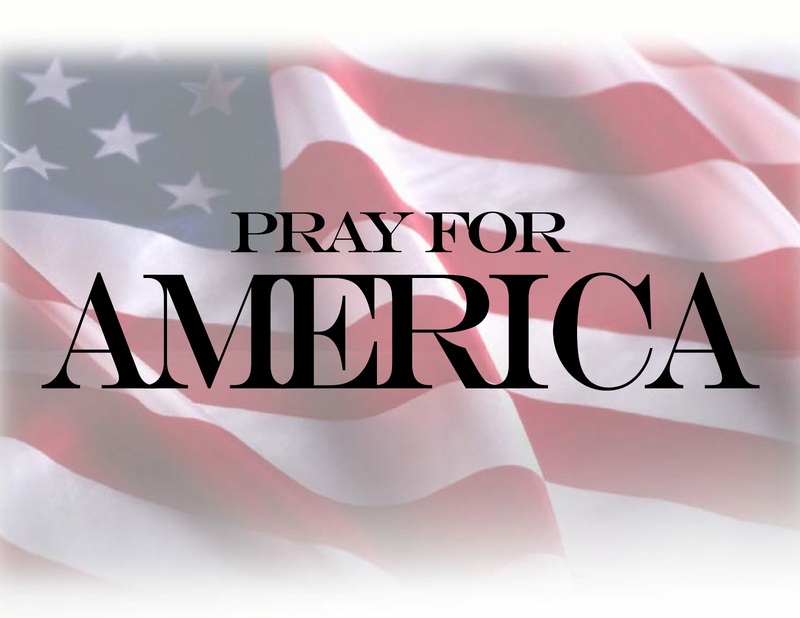 Congress needs next-generation commonsense conservatives who will fight to restore the blessings of liberty and never waver on Constitutional principles. Zach is so good about reminding Louisianans that our rights are endowed by our Creator, not a bunch of politicians in D.C., and we’re blessed when we courageously stand on that foundation. In fact, his whole family believes it and lives it; here’s his uncle, the Duck Commander Phil Robertson, sharing Zach’s attributes in this video! Louisiana, please get to the polls and send this man with smarts, a solid foundation, and quality character to clean up Washington. You deserve the best and Zach Dasher’s your man on Tuesday! And, by the way, this Greg Abbot campaign sign is the best I’ve seen yet! Governor Palin and Attorney General Abbott at New Friends New Life annual luncheon where he was presented the Protect-Her award for his efforts to fight human trafficking in Texas. 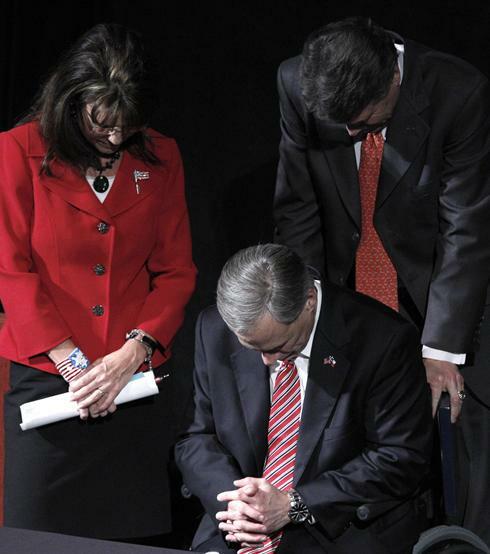 Governor Palin, Governor Perry, and Attorney General Abbott pray at the close of the event.